John F. Kennedy Intl. - Mexico City Intl. Awesome! If your flight is in terminal 1 your a short walk away! Staff was great helping with directions and and questions you had, as well as friendly and accommodating! 10/10 would recommend! 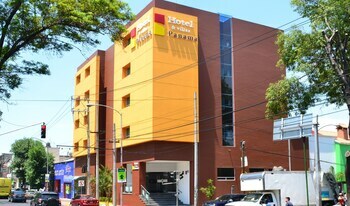 Nice Hotel close to metro Hotel staff is very friendly. 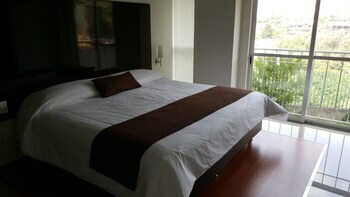 Hotel is close to everything including metro Juarez and Hidalgo, Monumento a la Revolucion and Angel de Independencia. Excellent hotel. I would recommend it staff was very friendly. 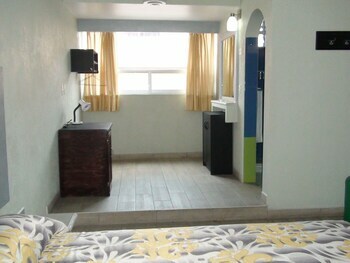 The room was clean and neat. 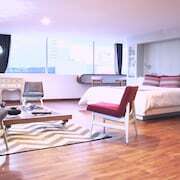 Close to stores and restaurants and not far from market “La Ciudadela” and the Alameda Central and Palacio de Bellas Artes. Nice, clean hotel. Awesome.... Hotel and staff were excellent. Walking distance to EVERYTHING. 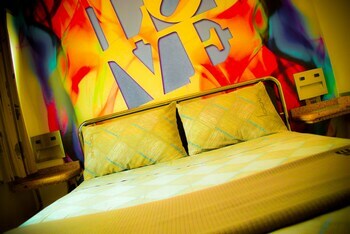 Loved the location and staff but they don’t have basic items you would find in a hotel like an iron or hairdryer. I would return again the deli was awesome although it needs more staff. We had to wait a good 10-15 minutes to b waited on to long for it to b a quick deli. Travel is the best thing money can buy, but you don't need to blow your life savings to do it. If you're planning a getaway in Mexico City, continue reading for some inspiration! It's the national capital of Mexico and about 14 miles to the east of the significant city of Huixquilucan. It's an area of Mexico, Estado de that roughly 12,300,000 people call home. Check your smartphone to see if there are any special happenings at the Museo Soumaya, the Centro de la Imagen, the Museo de las Constituciones and the Museo Soumaya Plaza Carso. These museums charge no entry, so you can work out your brain while protecting your bank balance. Attending arts and cultural events is a fantastic way to get a real feel for the region. Peruse the programs at the Centro Cultural El Punto, the Abelardo L. Rodriguez Murals, the Galeria Oscar Roman and the Galería Nina Menocal to discover their free shows. Budget-conscious history aficionados simply must add the Monumento a los Ninos Heroes, Palacio Nacional, Ayuntamiento and the Cibeles Fountain to their itineraries. These time-honored sites also offer fabulous photo opportunities! Why fork out for pricey tours when you can do it yourself for nothing? Make your way to your pick of Plaza de la Constitucion, Zocalo, Plaza de las Tres Culturas and Plaza de Santo Domingo, make friends with the locals and find out what these well-known areas are all about. Here at CheapTickets, you won't have to fret about securing the best price. We've figured it all out for you, and we haven't compromised on quality for flights, hotels and memorable experiences. Combine your hotel and flight bookings to make a saving of as much as $481. With 500 airline partners and over 500,000 properties across the world, you can be sure that we'll give you the cheapest deals available. You'll always get the best prices — we guarantee it. 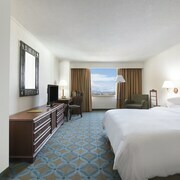 We'll refund the difference if you find your vacation deal for a better price within 48 hours of making your booking. That's our Price Guarantee. What could be better than pocketing the cheapest deal possible? A cheap deal with extras! With our rewards program, you'll be able to save money on your next qualifying CheapTickets hotel just by booking a flight. So, what's the next step? Simply log in or sign up for free, join CheapCash, and you'll gain savings on all eligible bookings. You'll also be kept in the loop about fantastically-thrifty bonus offers and perks! Low-cost and reasonable — we know they're words that everyone loves. So, why not rent a car for your time in Mexico City? That way you needn't blow your budget on cabs. You can head straight from your plane into a car at Mexico City International Airport. Some of the best places to book with are Sixt and NÜ Car Rentals. They're situated within walking distance of the terminal, so you won't miss them. Renting a car right from the center of the city is a convenient option if you're staying nearby. Head to Alamo Rent A Car, situated at Mexico Intl Airport Av Sonora. If there isn't anything to your taste, Budget at Internacional Aeropuerto Benito Juarez is worth checking out. 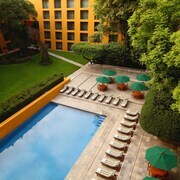 With no less than 351 hotels in Mexico City, the capital of Mexico, it's tempting to leave things to the last moment. But why hold off? 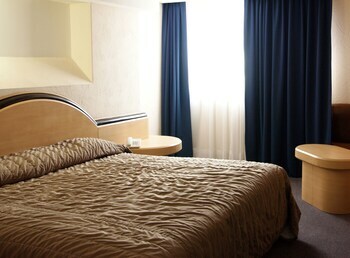 Book a cheaptastic room via CheapTickets before someone else does! If you get as excited about snaring a bargain as you do about travel, peruse the great prices on offer at the City Express Plus Insurgentes Sur and the City Express EBC Reforma. These affordable options will save you some serious dough. 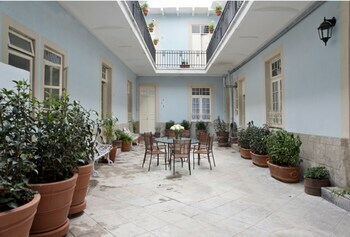 It's worth noting that there are several accommodations practically on the doorstep of Plaza de la Constitucion. The Downtown is just 0.2 miles away. 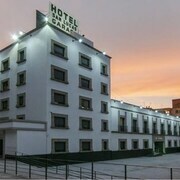 If that doesn't suit your budget, take a look at the Gran Hotel Ciudad De Mexico, 0.09 miles away.